Cutler’s wife Eleise, a graduate of Wellesley College in Massachusetts, told the University that Cutler’s early work was in the field of venereal disease. He was a part of the group of physicians who developed VDRL, the venereal diseases research laboratory test, which has become the accepted test for the diagnosis of syphilis. 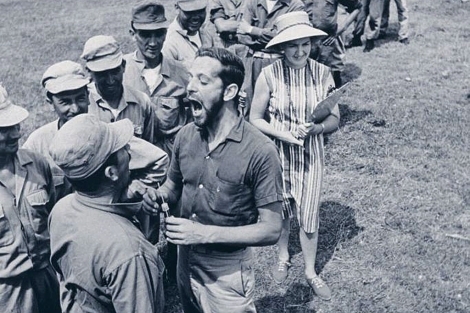 “We traveled all over the world together when he was doing research work in syphilis and gonorrhea,” Eleise explains. “He worked in a federal prison in Terre Haute, Indiana, in New York and also in Guatemala. And, I was with him every step of the way.” Dr. Cutler’s research also took the two of them to India where, while working for the World Health Organization, he organized a venereal disease laboratory for South East Asia. 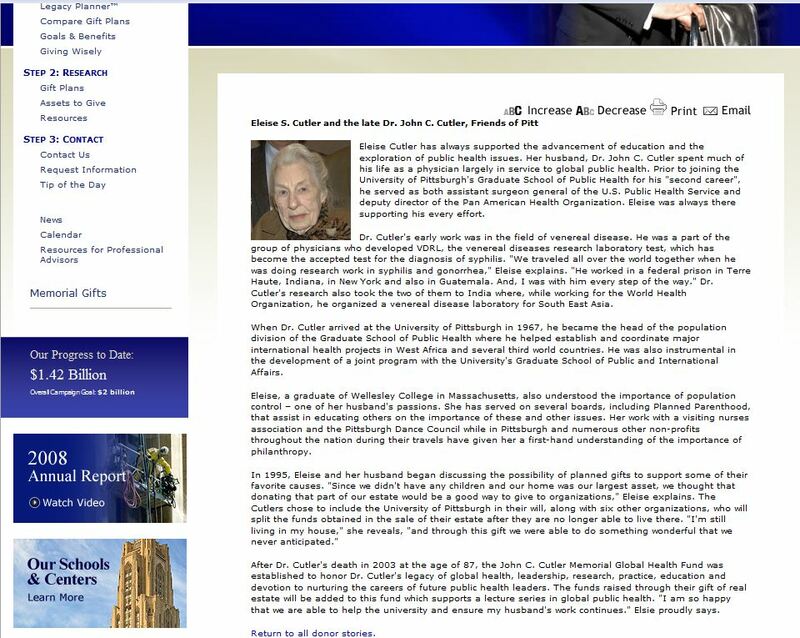 Cutler’s wife , Eliese S. Cutler, told the University that understood the importance of population control – which she called, one of her husband’s passions. 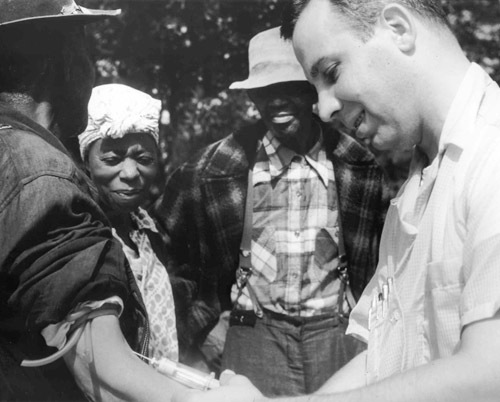 John C. Cutler’s wife admitted that she has served on several boards, including Planned Parenthood, an organization whose founders (Margaret Sanger) , past presidents, and many board members were seeped in eugenics ideals which are very racist.. Eliese and her husband John both contributed to Pathfinder International and the Population Council and NOTE: Frederic Osborn was a founding member of the American Eugenics Society and co-founder of the Population Council along with John D. Rockefeller. In 1969, the Population Council’s President, Bernard Berelson, published an article suggesting that if voluntary methods of birth control were not successful, it may become necessary for the government to put a “fertility control agent” in the water supplies of “urban” neighborhoods. 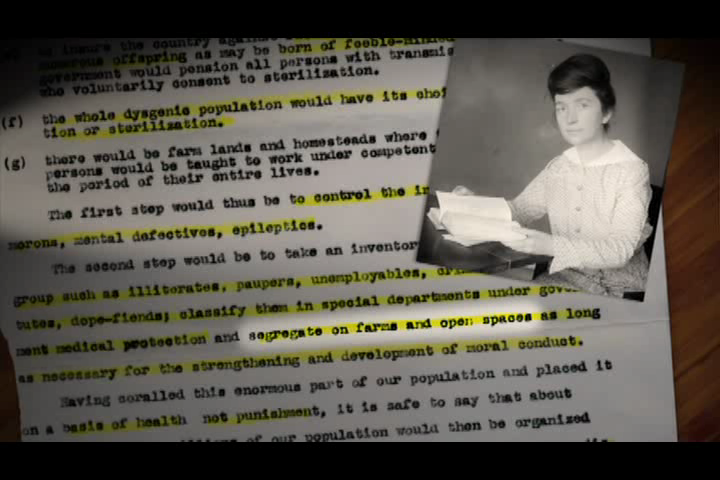 As you watch the video and read the information below about the Guatemala syphilis study, keep in mind that John C. Cutler promoted Planned Parenthood ideas, his wife sat on their board, and he advocated Population Control and idea that was pushed by Planned Parenthood’s founder Margaret Sanger. Also keep in mind the fact that Planned Parenthood was funded by members of the American Eugenics Society such as Clarence Gamble, who also funded the North Carolina Eugenics Society which later eugenically sterilized several black women. Below is a testimony from such one of his victim’s Elaine Riddick from the documentary: Maafa21. 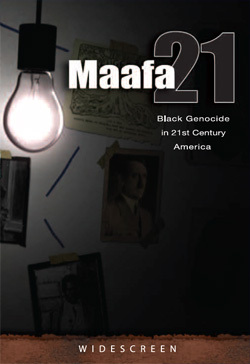 This entry was posted on October 1, 2010 at 8:41 pm and is filed under Clarence Gamble, Conspiracy, Elaine Riddick, Eugenics, Guatemala, Guttmacher, Hispanic, John C. Cutler, Maafa21, Margaret Sanger, Medical Experiments, Pathfinder International, Planned Parenthood, Planned Parenthood and Eugenics, Planned Parenthood and Hispanics, Population Control, Racism, Sterilization, Tuskegee with tags Eleise Cutler, Eugenics, gonorrhea, Guatemala, Guttmacher, infected, John C. Cutler, Margaret Sanger, Pathfinder International, Planned Parenthood, Population Control, Susan Reverby, syphilis, Tuskegee. You can follow any responses to this entry through the RSS 2.0 feed. You can leave a response, or trackback from your own site. So heartbreaking! I recently read Dr. Cutler’s obituary and interestingly enough it gives no mention of his unethical and in my opinion, criminal behavior. Its an obituary. No obituary will speak ill of the dead. Thats what all these articles and history books are for. The USA was and will never be no better than the Nazi, who I might add, employed strategies used by the US during the on-going Native-American genocide. I guess genocide is acceptable only when it’s the US doing it. Interesting and informative. Unfortunately, the whole purpose seems to be to discredit Planned Parenthood by emphasizing Sanger’s less than noble ideas. One might as well invalidate the Declaration of Independence by saying that Jefferson was a slave owner. Sanger’s notions were as much a part of her time as slavery was a part of Jefferson’s. Her motives may have been ignoble by today’s standards and coercion cannot be defended, but in the end, the virtue of giving people control over their reproductive lives remains. 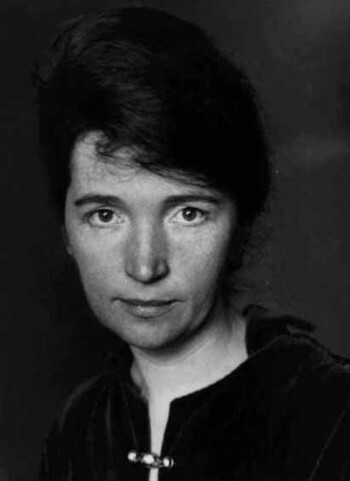 Any attempt to devalue that freedom by using Sanger is no better than the tactics she herself used. Please don’t let the sublte conversations pull you away from the truth. Planned Parenthood is the largest abortion provider in America. 78% of their clinics are in minority communities. Blacks make up 12% of the population, but 35% of the abortions in America. It appears Margaret Sanger fullfilled her calling, demonic calling that is. I think you are correct. I have to mention that Bill Gates is now in third world countries promoting Planned Parenthod. He has headed the drive to provide planned parenthood facilities in Africa. He openly states his desire for population control. God help us. Thank you for the most detailed article I have yet read on the above. My own take on this was that the researchers had chosen Guatemala quite deliberately because at the time was controled by an American company The United Fruit Company. My blog has explored the elite political family members such as the Dullas brothers who sat on the board whilst serving in the cabinet. (There are trees!) The hypocracy is monumental when you consider that the American government was at just that time supervising the hanging – for crimes against humanity Drs Beiglbock, Brach, Brandt, Hoven, Murgowsky and Sievers. This is site to discredit Planned Parenthood. Do you want to just multiply until no one can sit down? We will not be able to eat an apple because we will use up all the farm land for housing. There won’t be enough clean water for bathing. We should limit families to 2 children like China. How sad that is, but if we don’t, things will be much, much worse. We should probably limit it to one child, regardless of who thit is or how much money one has. I believe Dr. Cutler was very much like most people of that period, trying to solve problems. Look what was done to the Native Americans. Settlers and government probably thought they were doing the right thing for the majority of their social group. We are lucky enough to see the value of all humans. Hey Bertie, you’re an adult, why don’t you give up your seat? Your arguement is lamer than a $10 horse. There is an abundent amount resources. Quit repeating information of which you have not taken the time to research yourself. 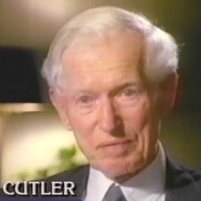 John Cutler and his wife supported several eugenics organizations, population Council, Guttmacher, and Pathfinder as well as Planned Parenthood. His actions along with many others like Clarence Gamble who funded forced sterilizations of North Carolina Eugenics and Margaret Sanger who was clear that she wanted women sent to farms and open spaces to learn their lessons on pro-creating prove the same thing you are saying….that all the supporters of Planned Parenthood want only one thing – FORCED POPULATION CONTROL ! I find your comment repulsive. To aspire to take up a policy like China is idiotic. The Chinese government routinely finds pregnant women and forces them to have abortions, some times in barbaric non medical conditions. Who on this earth has the right to judge who should have children or who shouldn’t. Cutler is a criminal who saw no value in human life or the lives of these individuals. four generations of families live in hell with serious medical conditions because of this mans desire to find some new scientific outcome. A selfish pursuant of glory. For anyone who cares to know more about Cutler and others like him you don’t have to look very far. Current vaccinations and GMO foods are how they test on humans today. http://www.naturalnews.com/033483_Guatemalan_prisoners_medical_experiments.html Look for the link to the History of experiments done by USA. God bless us. Merck has long engaged in the use of the population for vaccine experiments involving things such as SV40 cancer viruses which even Merck’s own top vaccine scientist admits was knowingly contained in the Polio vaccines given to tens of millions of Americans. Also AIDS. This appears to be a deliberate and planned attack on Planned Parenthood. Education and intelligent approaches to informing the population on reproduction are called for. What was done in the way of research in the past is truly unfortunate and has become largely detrimental to accomplishing proper education of the population. Not strange that this is appearing in the present political climate. AIDS was brought to America by a researcher trying to bypass customs with monkeys. See video Merck has long engaged in the use of the population for vaccine experiments involving things such as SV40 cancer viruses which even Merck’s own top vaccine scientist admits was knowingly contained in the Polio vaccines given to tens of millions of Americans. It’s no coincidence that the chief on the Guatemalan side, Dr. Gallich, was a key figure in the birth and growth of Planned Parenthood in Guatemala. I’d like to hear from you.